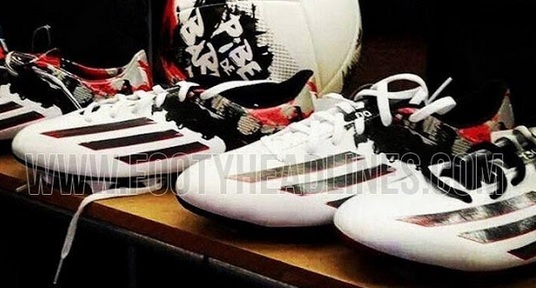 Adidas will be launching couple of Messi’s boyhood club inspired boots in March 2015 and first of which called Pibe Da Barr10 images has been leaked online. Messi was born in Rosario the city in Argentina and his club Newell New Boys was his first club before he moved to Barcelona at the tender age of 12. So Adidas decided to pay homage to city Rosario in the next installment of Messi boots which will be released in March 2015. 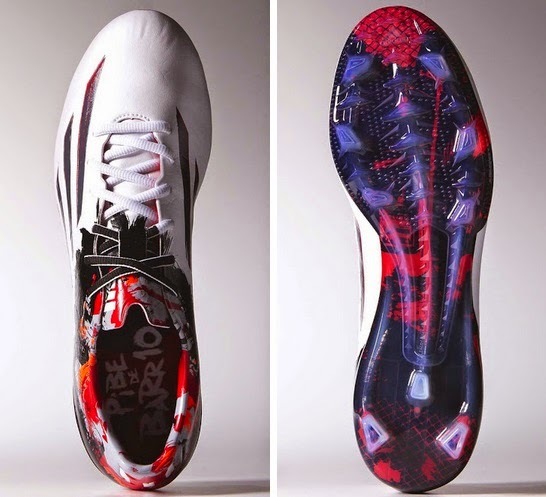 Following are the pictures of what suppose to be the new Messi boot set to go into market march 2015. The new boot comes in the 2015 Adidas F50 Adizero series and the upper of Pibe Da Barr10 boot features synthetic leather Hybridtouch from the 2014 version of F50 Adizero series. The 2015 Messi boot version comes with a unique colourway of white, red and black while the boot also feature a unique design representing rosario on the back heel of the boot. 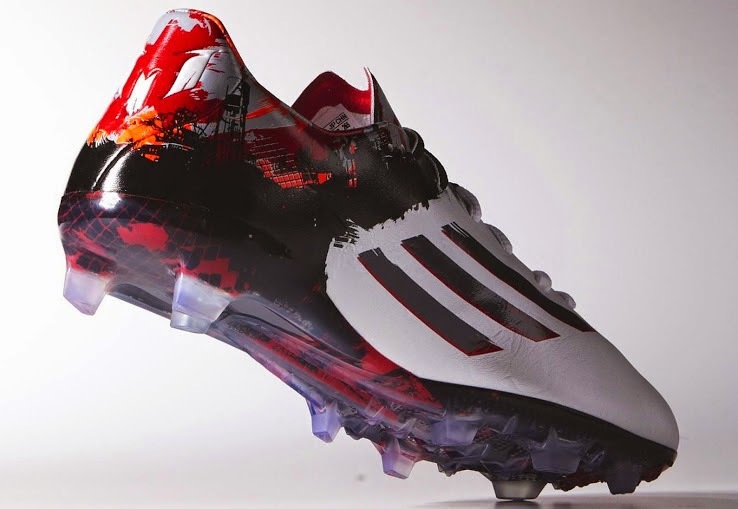 This will be the first of several Messi inspired Adidas boots to be released in 2015 and we will keep you updated with any leak images or details if they are made available. Towards the tail end of last year Adidas also release the first version of Pibe De Barr10 boot inspired by city Rosario here are the official release pictures of that boot.